Rabbits shed every 3 months. Every alternate time they’ll have a light shedding that may not be very noticeable. Next they’ll have a heavy shedding that you will not be able to escape. Rabbits are fastidious groomers. They insist on being clean & tidy and will lick themselves like cats, and like cats, they can get hairballs if they ingest too much hair. Unlike cats however, rabbits cannot vomit. If hairballs are allowed to form they can become gigantic masses of tangled hair & food and will block the stomach exit, causing the rabbit to starve to death while his stomach appears to be very fat. Rabbits need to be brushed at least weekly. In addition to removing any loose hair, this weekly brushing session helps prepare them for the multiple daily brushings that they must undergo when their heavy shedding begins. Rabbits will shed in different ways. Some rabbits will take a couple of weeks or more to loose their old coat of fur. Other rabbits will be ready to get rid of their old coats all in one day and these rabbits are the ones that cannot be neglected once they start shedding. You can often remove a very large percentage of hair by just pulling it out with your hand. But, however you remove it, remove it as soon as possible or your rabbit will do it during grooming. Bald spots on rabbits are quite common when they are shedding. I have one Angora rabbit for instance, that gets totally naked except for her face and feet. But, short haired rabbits can do the same thing. If these bald spots occur from shedding, they will begin to grow back within a week or two. These types of rabbits are truly wonderful to look at, but require a lot more attention than their short haired cousins. We recommend that you use your scissors and keep their hair trimmed to one inch or less, otherwise you may be fighting hairballs most of the time. EXPERT HELP: If you are not comfortable with the above you can have someone, maybe your veterinarian, show you how to do all of the above tasks. Cat flea products are generally safe for rabbits with fleas. It’s better to stick with powders and sprays. Carbaryl is the ingredient preferred by the House Rabbit Society’s veterinary advisors. 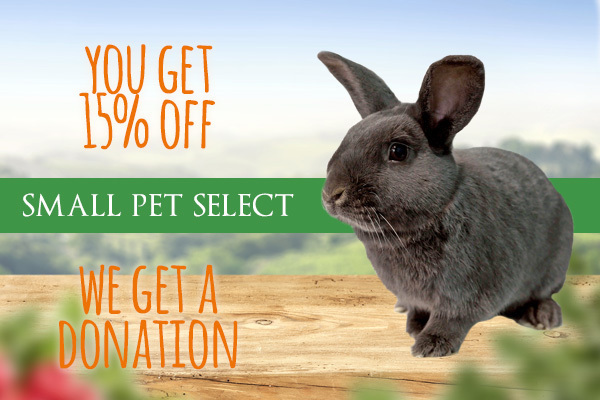 One must be hesitant to treat rabbits’ fleas aggressively, because the cure can be more stressful than the infestation, so flea baths and dips are not recommended. A flea comb is a non-toxic device, which takes more patience, but is both physically and psychologically rewarding. Most rabbits learn to love the attention of being flea combed, and it can be used as a supplement to or as your main flea-control program. If you want to control fleas in the environment with sprays or a flea bomb, do only one room at a time and keep your rabbits out of that room for at least 24 hours. Although some bunnies grow up swimming in the family pool and going on camping trips where they paddle around in the lake, most rabbits are not used to this routine and would find even an occasional bath quite stressful. NEVER–unless your veterinarian advises it to bring down a fever–should you give a sick rabbit a bath. Because seemingly healthy rabbits can have undiagnosed problems, it’s best not to subject them to the stress of a bath. If your rabbit is very badly infested with fleas, there’s a good chance that he is already compromised and may go into shock when bathed. Also, a thoroughly wet rabbit takes a very long time to dry, so spot cleaning the dirty area is better than an overall bath. Normal rabbit body temperature is 102. Since they are subject to heat stress, use a warm dryer, not hot. Rabbit skin is delicate and highly susceptible to cuts, so mats should not be cut off with scissors. Instead, use a mat splitter or mat rake to take the mass apart. Bunny fur usually requires a finer blade than most cats and dogs. Scratchy, flaky skin with bald patches is usually a symptom of skin mites or an allergic reaction to fleas. Cat flea powder clears up either condition. A veterinarian should be consulted for other skin irritations. 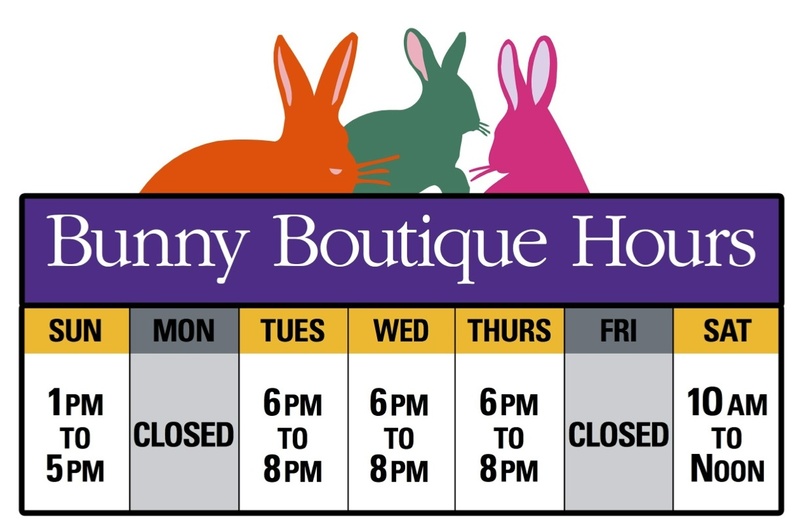 House rabbits who spend all of their time in homes with carpeting and linoleum periodically need to have their toenails trimmed, in the same way as dogs and cats. Because of risk of infection, declawing is definitely NOT recommended for rabbits. If excessive digging or scratching is a problem, then a large box of hay or straw, where bunny can pursue these activities, may help. If the padding (fur) on the feet is worn down, exposing inflamed or callused skin, then soft dry resting pads (rugs) should be provided. Exposed skin that becomes urine burned or broken is very likely to infect. Take extra care that rugs and litterboxes are kept clean and dry. Ear wax can be lifted out with a cotton swab, being careful not to push on wax in the canal, or you can try a mild ear cleaner containing Chlorhexadine, such as Nolvasan Otic. For ear mite infestation, apply a topical medication such as Mitox. The veterinarian may also prescribe Ivermectin. Rabbits teeth grow continuously and must be checked to ensure that they are wearing down properly.While you’re brushing your rabbit or clipping his nails also look at his teeth to make sure there is not a problem. Bunnies with straight teeth will keep them worn down with everyday gnawing and chewing. Buns with malocclusions, or crooked teeth, will need to have their teeth kept trimmed with guillotine-type clippers. If this occurs and is left untreated, the rabbit will not be able to eat and could starve to death. Your veterinarian can show you how to clip a rabbits teeth or they can clip them for you. Rabbits nails can grow to be very long and sharp and will be uncomfortable for the rabbit. If the rabbit has light colored nails they are very easy to trim. You can see the blood inside the nail and you clip just before that point. The dark colored nails are harder to see where they should be clipped but it is still visible. People are often afraid to clip nails for fear that they will cause the rabbit to bleed. You can purchase a product called Kwik Stop to keep on hand for this problem, but I’ve found that just holding pressure with a cotton ball works better for me. Your veterinarian will also clip nails for you. They should be checked every 6-8 weeks. Watery eyes or and eye discharge needs to be diagnosed by a vet. In addition to any medications or eye drops, the cheek needs to be kept dry and clean so the area will not become chafed nor the fur peel off. Clean tissues will absorb mild wetness. Ophthalmic saline solution (what people use with their contacts) carefully poured onto the cheek will crystallize the tears so that they can be removed with a clean flea comb. A touch of prescription anesthetic powder on a finger can be applied to the area if there are painful lesions.